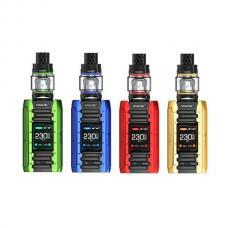 The New Aspire Zelos 2 50W Starter Kit, includes Zelos TC Mod and Nautilus 2S Sub Ohm Tank. 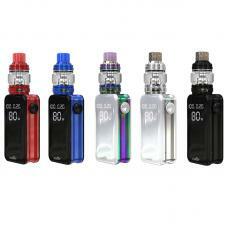 the Zelos mod built-in 2500mah battery and max output 50watts can charge via micro USB port directly by connecting to the wall adapter or power bank. various working modes switchable, under temperature control mode it supports Stainless Steel, Nickel 200, and Titanium heating elements. the Nautilus 2S tank can hold 2.6ml e juice, the 0.4ohm BVC coil head for direct to lung vaping and 1.8ohm BVC coil for the mouth to lung vaping. top-fill child-resistant design with a silicone seal keeps things clean. and as the coils are interchangeable with other nautilus coils, it allows you to personalize your draw/vapor preference. the Blue, Grey, and Black colors available.